We support the ‘pro-choice’ position on abortion. 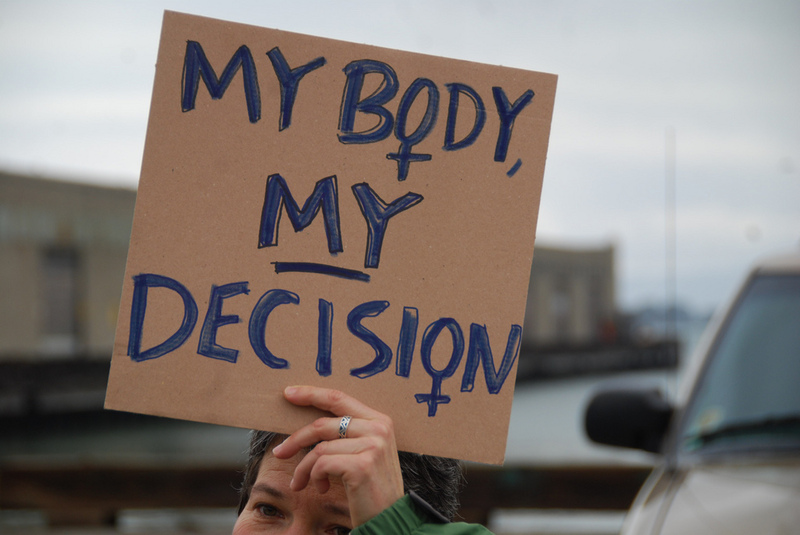 We believe that the right to be the master of one’s own body is a fundamental human right and women should therefore be allowed to decide whether or not to continue with a pregnancy. Abortion Rights is the national pro-choice campaign. They are campaigning to defend and extend women’s rights and access to safe, legal abortion. There has been an upsurge in anti-abortion activity outside clinics in the UK. Establishing protest-free zones outside centres would provide the reassurance and security women and healthcare staff need. Photo courtesy: Steve Rhodes, Creative Commons.